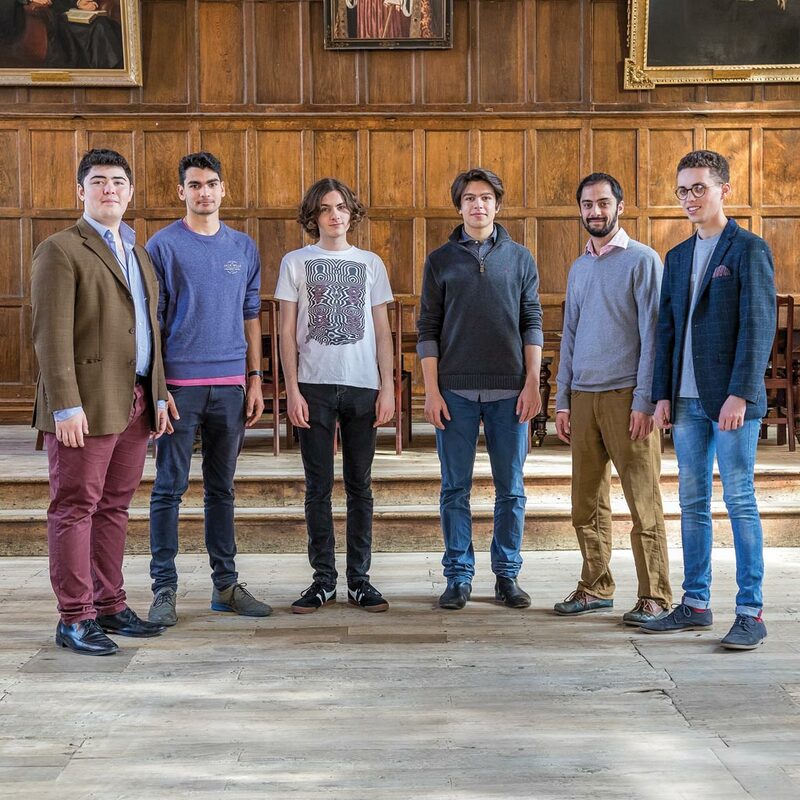 Cantores Episcopi is the close harmony group of Winchester College comprising some of its finest musicians, brought together by a passion for singing a cappella music. The group provides an opportunity for boys to explore the secular side of the choral repertoire, stepping outside the cassocks and the stalls of the College Chapel Choir. Founded in 1973, the group has enjoyed an unbroken tradition since its beginnings, of fun-filled close harmony singing, exploring a vast repertoire of popular songs, famous arrangements and home-grown compositions. The name Cantores Episcopi, ‘The Bishop’s Singers’, was chosen because four of the original five members of the group had previously sung as choristers in choirs connected with William of Wykeham (at New College, Oxford, Winchester College or Winchester Cathedral) and found themselves together in his school. 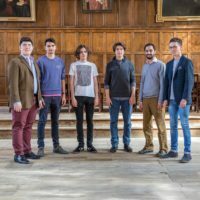 Over the years about half of the members have moved on to university choral scholarships, and many have embarked upon successful singing careers. Cantores Episcopi give numerous concerts through the year, both at home and further afield. In recent years, the group has collaborated with Aurum Vocale consort group, and also with The King’s Singers. The group has toured to Colombia in 2011, 2014 and 2017, performing as part of an outreach project with schools and youth orchestras in Bogota and Cartagena. Amate is the third disc under its current director Jamal Sutton; Steal Away Home: Folksongs and Spirituals, recorded in 2015 and Christmas with Cantores, recorded in 2012, are also available for purchase from Winchester College.